The 4WD which plunged into the ravine yesterday. MIRI: A plantation worker was seriously injured in a single vehicle accident at Miri-Marudi Road, about 22 kilometers from here, yesterday. According to a source, the accident is believed to have occurred around 1am. 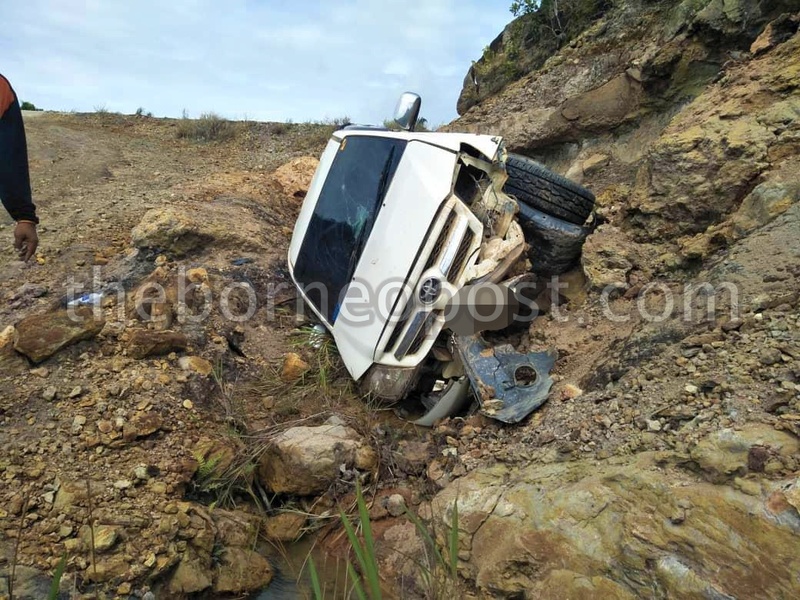 The victim aged 28 was said to be driving alone in his four-wheel-drive (4WD) from Miri city to his workplace in Marudi. He is believed to have lost control of his wheel when passing through a narrow road before his 4WD plunged into the ravine. The victim who suffered injuries on his left eye and chest was later rushed in an ambulance to Miri Hospital.